Experience a live, customized walkthrough of our home automation solution. 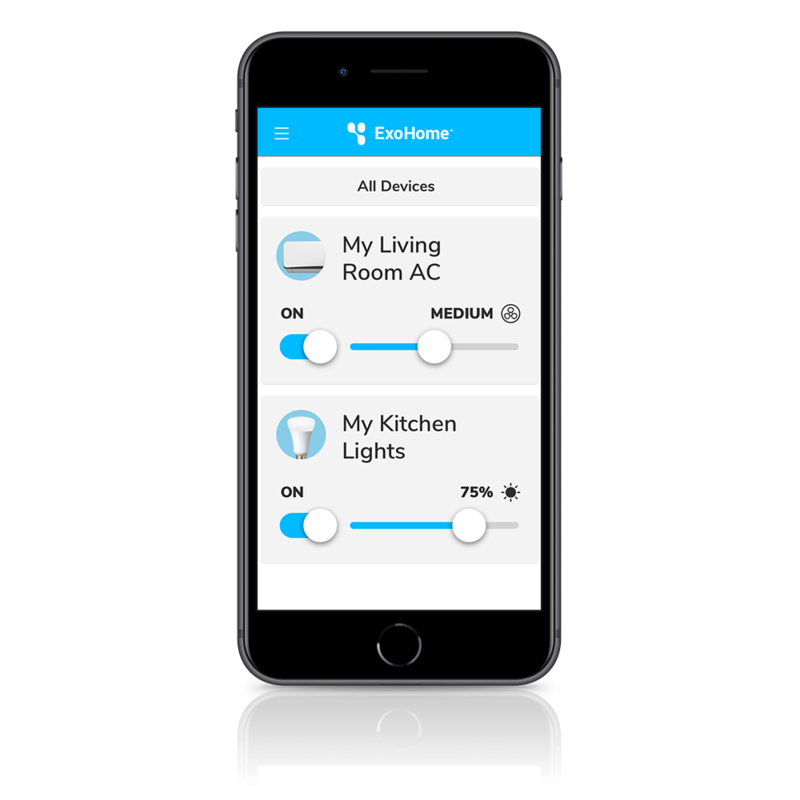 ExoHome is a turn-key home automation solution to control consumer devices like thermostats, air conditioners, fans, and lights—schedule a demo to see how it can accelerate your connected-product success. Get in-depth insight into the ExoHome features that will help you get to market in weeks, rather than months or years. See how easy it is to customize branding, themes, user hierarchies, and more to make ExoHome your own. Chat with an Exosite solution expert about your application needs to ensure ExoHome is a good fit for you. “In the growing home automation area, nothing is more critical than speeding up the time to market. This is where ExoHome™ can help.